Ecotech’s Aerosol Conditioning System can be used with a wide range of aerosol monitoring instruments to determine the effects of humidity on aerosols. The hygroscopic properties of aerosols are an important parameter to assess in order to accurately model the effect of aerosols on the earth’s radiative balance. By exposing the aerosol to different relative humidity, Ecotech’s Aerosol Conditioning System (ACS 1000) enables these properties to be measured by a wide range of instruments. 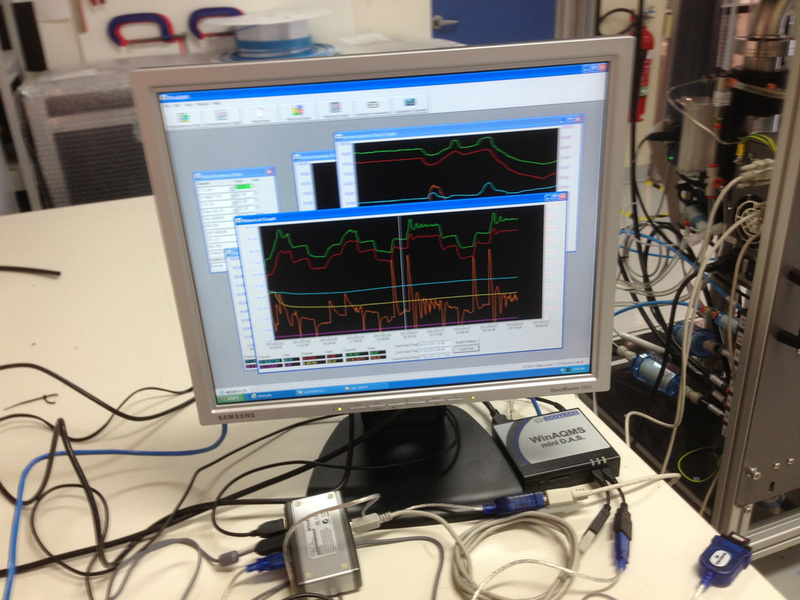 The system provides for simultaneous control of humid and dry sample channels, allowing comparison of real-time measurement by two parallel instruments. Ecotech’s ACS can be used with a wide range of aerosol monitoring instruments to determine the effects of humidity on aerosols. For instance, while one instrument measures the ambient air at a consistent low relative humidity of less than 40%, the other instrument can measure the same sample which has been passed through a humidifier, to accurately vary the sample’s relative humidity from 40% to 90% over a user definable interval. By comparing the measurements of the two instruments, the hygroscopic properties of the aerosol can be determined. High precision temperature and RH measurements. Can be interfaced with a wide variety of aerosol monitoring instrumentation. Ambient air is drawn through the sample inlet down through a ball valve into a dryer. The ACS can be fitted with a wide variety of sample inlets including PM1, PM2.5 or PM10 inlets. The operator can then configure the sample path. Humidity reduction is performed using a permeation dryer which utilises a permeable membrane and a source of dry air. The dryer works by allowing H2O vapour to transfer from the inside of the membrane, to the outside, removing it from the sample air. The large inside diameter of the membrane combined with the grounding mesh, minimises particle losses through the dryer. The humidifier works in reverse to the dryer. Dry sample air passes through the inside of a Gore-Tex membrane while the outside of the membrane is saturated with Milli-Q water. As the water temperature increases, the amount of water vapor transfered to the inside increases, allowing the humidity of the sample air to be directly controlled. One possible system configuration is to split the sample into two paths by an isokinetic flow splitter. 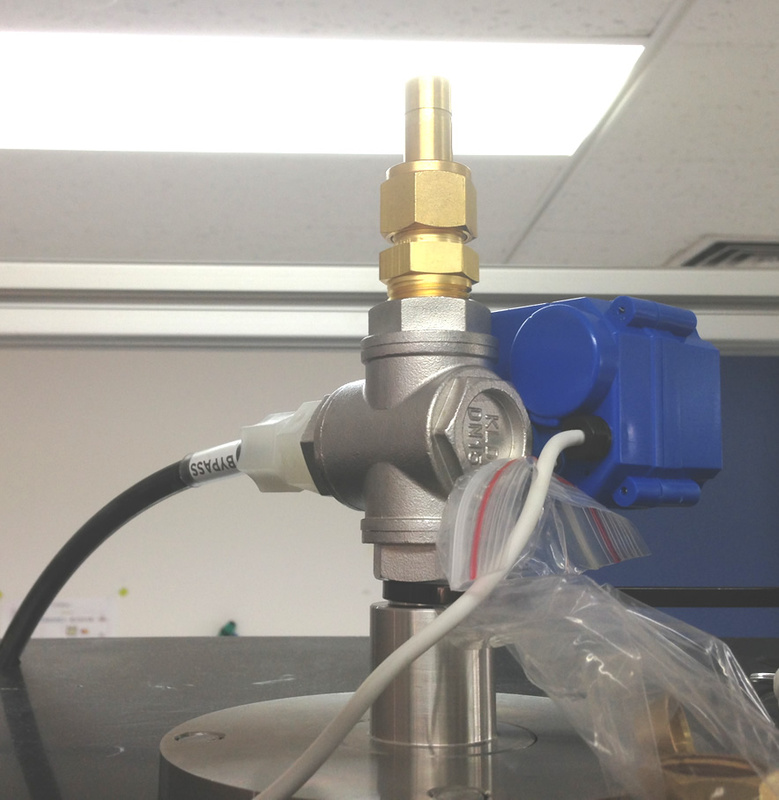 The dry sample passes directly into one instrument for measurement while the other sample passes through the humidifier and is humidified to a predetermined RH set by the controller. This sample then passes into the second instrument for measurement. Consult Ecotech for other configurations. The ACS uses multiple temperature and relative humidity sensors located throughout the sample paths to continuously measure, control and record sample conditions. The system’s microprocessor, keypad and display allows the operator to set key parameters for operation of the ACS, such as RH set points, ramp times, flow rates and auto calibration times. Many system parameters such as temperatures and relative humidity are displayed and logged. Sample residence time of up to 30 seconds at 1 l/min through humidifier. Flow controllable from 1 to 10 l/min per channel. Sample relative humidity controllable from 30% to 90%. RH Sensor accuracy ±0.8% RH (10–90% RH). Power supply: 110-250 VAC 50-60Hz. User interface: Backlit LCD and silicone keypad. * 2 x RS232 ports (eg Aurora nephelometers). Click on the arrows beside the image to view the ACS 1000 gallery.